In today's competitive environment, maximizing productivity is critical to being successful. That’s why employees must be connected easily and affordably! 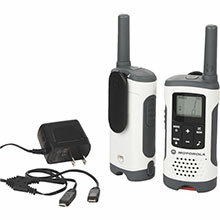 To provide businesses with that competitive edge, Motorola has developed easy-to-use, affordable two-way portable radio communicators.